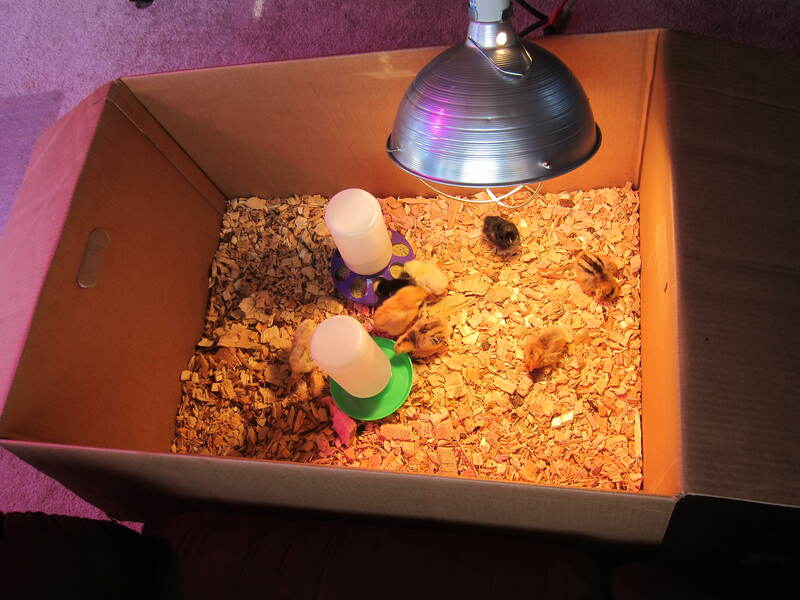 Their coop is still under construction, but they will be living in our house in a cardboard box for a few more weeks, enjoying a heat lamp. It’s too cold outside for them right now. Here’s our setup in action. It’s pretty simple but effective. 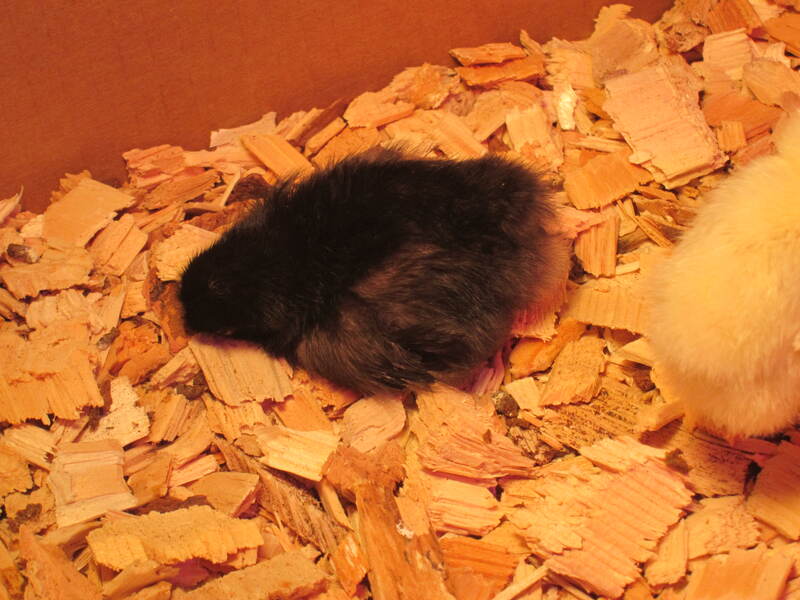 I’ve discovered the chicks like to play a game I call, “sleeping or dead?” So far, it’s been sleeping every time, but I’ll let you be the judge. Who says chickens don’t have a sense of humor? And here’s another. Dead or sleeping? 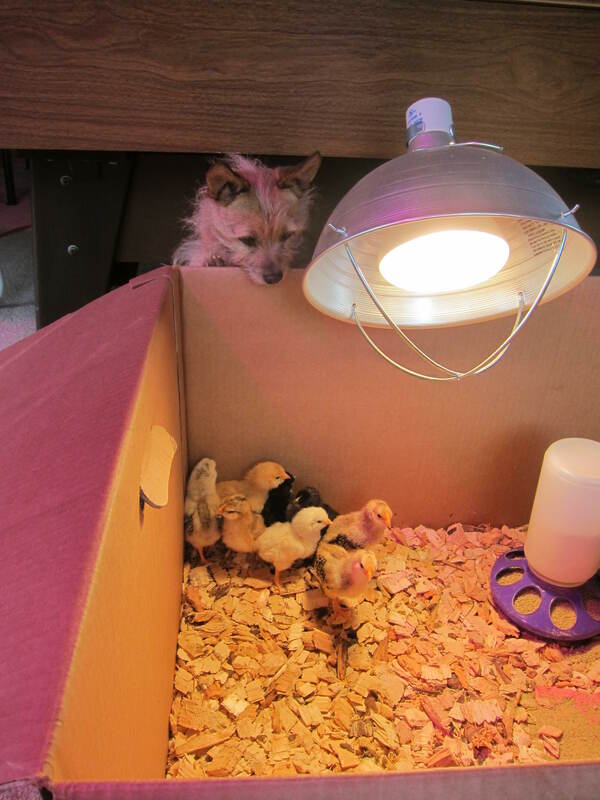 As good chick parents, Brian & I have been trying to learn their personalities and figure out how to give them a better box environment. 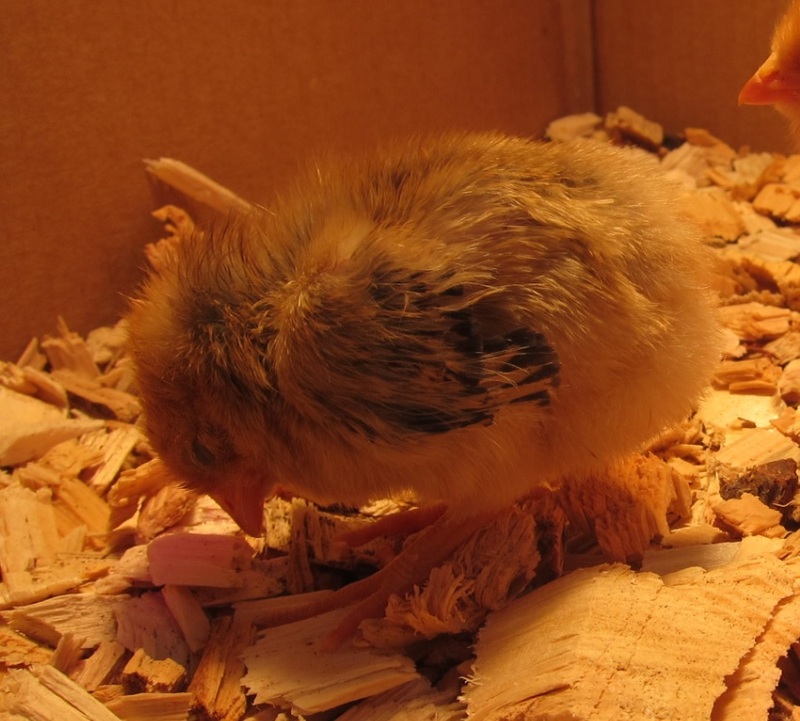 The wood chips we bought are pretty big; we were concerned the chips were uncomfortable on their tiny feet, so we decided to conduct an experiment. 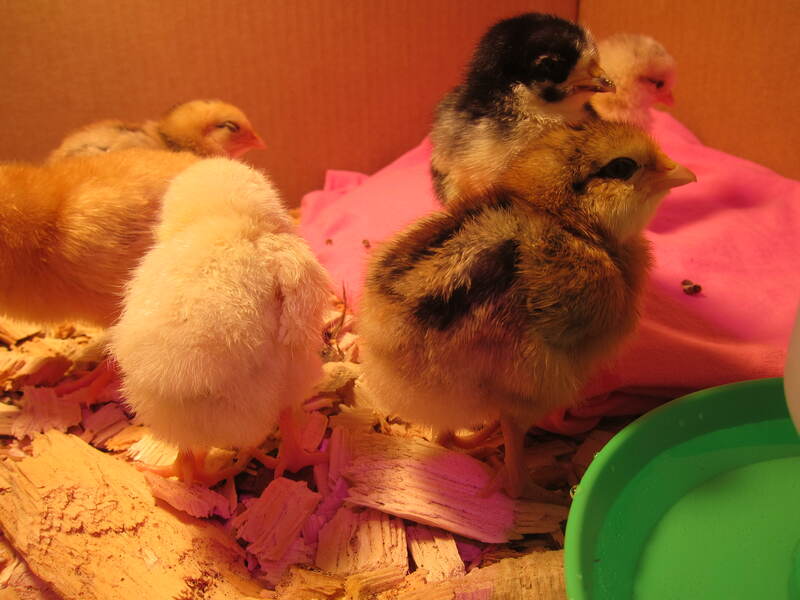 I laid an old t-shirt down in part of the box to see if the chicks preferred to walk/sleep on the shirt rather than the wood chips. 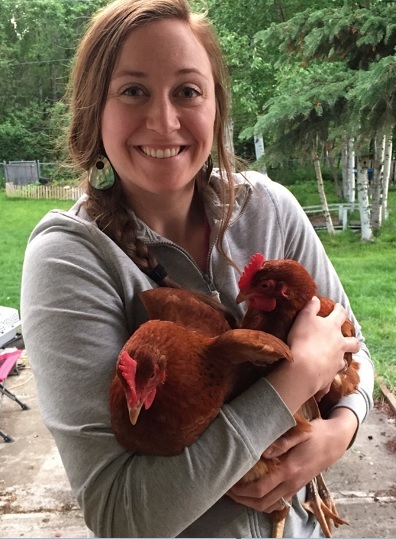 Turns out, chicks really don’t give a cluck. 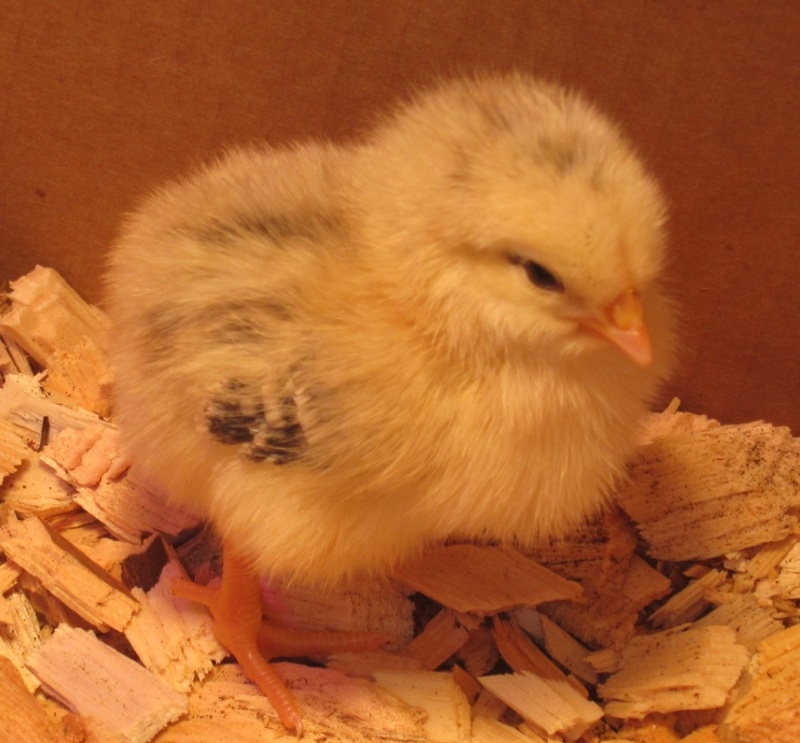 Here are a few more “awwwwww” worthy pictures of fuzzy 3-day-old chicks. Please enjoy for now, and there will definitely be more to come!